Prelude to Christopher by Eleanor Dark for musical term? I love this book – one of the great neglected Australian novels. What a fantastic challenge! You have inspired me. I cannot recommend this challenge enough. I’m looking forward to the categories for next year. Hope you join in. Finding the titles IS part of the fun. I have the books in house to finish, now I need the time to READ them. What a fun challenge! Loved the books, too — all new to me, so I’ll going to start browsing your reviews! Thanks for stopping by, Audra. Saw you mentioned over at Life Is A Patchwork Quilt and thought I’d stop by to say hello. Nice to have met you, I’ve enjoyed visiting. 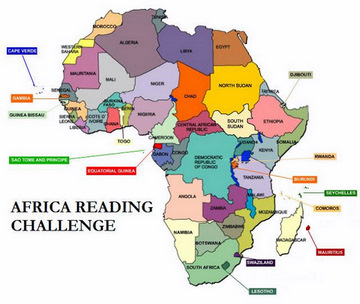 Oh and well done on completing this challenge – you chose some interesting books. Oh, good of you to visit and hello 🙂 to you to. Off to visit your blog. lol. That’s quite a challenge. It is and was Nana. Care to try it out next year? Congrats on finishing this challenge Kinna! I think I would find that challenge difficult as well, especially the music. It’s always a good feeling when you finish a challenge though, so congrats! The music category was very difficult. Had to rack my brains because I had nothing in my pile that I thought would count. But Too Loud A Solitude counted. It was really fun. Ha, I like the sound of this challenge. I wonder if I could complete it for this year? Hmm… a bit of a stretch but a bit of fun nonetheless. This challenge was actually the most challenging. The others were much easier to complete. Thanks, Stu.